ONE in four new prison officers employed over the past five years in Northern Ireland have left their jobs, sparking concerns of staff shortages and an increase in prisoners being confined to their cells. Figures released to The Detail under Freedom of Information legislation show 129 out of 511 recruits taken on since the beginning of 2012 no longer work for the Northern Ireland Prison Service (NIPS). The average length of time the new employees remained in post was just over one year and seven months, with three officers leaving after six days. The data confirms a trend which emerged shortly after a recruitment campaign was launched in 2012 to replace prison officers leaving the organisation through a government voluntary exit scheme aimed at modernising and streamlining the service. Concerns have been raised that too many experienced staff members were allowed to leave when 520 prison officers were offered early redundancy packages between March 2012 and May 2014 under the major reform programme. This equated to around a third of the overall staff. Independent inspectors and members of prison oversight groups have highlighted an increase in prisoners being kept confined to their cells as a result of staff shortages, though the issue was also affected by sickness. In June, Justice Minister Claire Sugden revealed that half of those on sick leave in the service are suffering from work-related stress. Information released through the Northern Ireland Assembly showed that there have been 4,338 prisoner lockdowns over the past two years in Northern Ireland’s top security prison, Maghaberry, and in Hydebank Wood College, which houses female prisoners and young offenders. Click here to view the original data released to The Detail under Freedom of Information legislation. The latest prison population figures show there were around 1,500 inmates across Northern Ireland’s three prison sites according to data from March this year. The POA represents prison staff and is banned from striking, but this week it is holding a ballot on whether its members should take part in significant industrial action in a bid to highlight concerns over pay and conditions. Addressing the issue of the loss of new recruits, a spokesperson for the Northern Ireland Prison Service (NIPS) said: “As with any large organisation, people leave the prison service for a range of reasons. One of the most common reasons identified by NIPS for the loss of new prison officers is that a number had also applied to the police service and had left to take up better paid police posts when they became available. In a separate development, NIPS has this month advertised for a replacement of its former head, Sue McAllister, who left the organisation in October. The title of the post she held has changed from Director General of the Northern Ireland Prison Service to Director of the Reducing Offending Directorate. The prison service failed to give The Detail an explanation for the name change, or to explain why the wage band for the role shifted. Ms McAllister earned between £155,000 and £160,000 in 2015/2016, which comprised pension contributions of £18,000, benefits worth £41,000 and an annual salary identified as being in a band between £100,000 and £105,000. However, the new leadership role in the service is advertised at the lower annual salary band of £85,951 to £100,091. Left to right, former Director General Sue McAllister with Justice Minister Claire Sugden and Maghaberry Governor Stephen Davis. WHY ARE SO MANY PRISON STAFF LEAVING? Prison Officers’ Association (POA) chairman Finlay Spratt blamed pay and conditions for the high number of new employees leaving the prison service. There is also discontent over a variance in wages, with prison officers employed before 2002 earning more than their less experienced counterparts. Before 2002, prison officers were known as main grade officers and started on an annual salary of £36,083. However, new recruits are now known as custody prison officers – a role created in 2012 as part of a series of measures to reform the prison service – who can expect to start on £18,925 a year, a number which is up from £18,000 four years ago. Analysis of the figures obtained by The Detail show the average starting salary of 510 out of 511 new recruits taken on since 2012 was £19,055.57, with only six people earning more than £19,000 but less than £22,500. The lowest starting salary was £18,000 a year. Out of the 129 people who left the service, The Detail found the average salary of 128 people was £19,491.03 at the time of their departure. Over half (74) failed to earn more than the average starting salary for this cohort of recruits during their time with the organisation. Only one person, who was a governor employed in 2013 and who left the following year, earned an annual salary of £72,183. Stephen Davis was Director of Policy and Service Delivery when he gave evidence to the Justice Committee earlier this year. He was appointed governor of Maghaberry in the summer. Former NIPS Director General Sue McAllister told the same hearing: “We are recruiting graduates and people who have come from other walks of life, such as retail and banking. The new figures on the number of recently-recruited officers leaving the service have emerged as concerns are being raised over staffing levels in jails and amid a dispute over prison officers’ pay. Members of the Prison Officers’ Association (POA) are being balloted this week on whether to take industrial action as part of a dispute over pay and conditions. Around 190 prison officers failed to begin their shifts at Maghaberry and Magilligan Prisons on time on November 4, according to the POA, which said that they instead held a meeting and started work around an hour later. 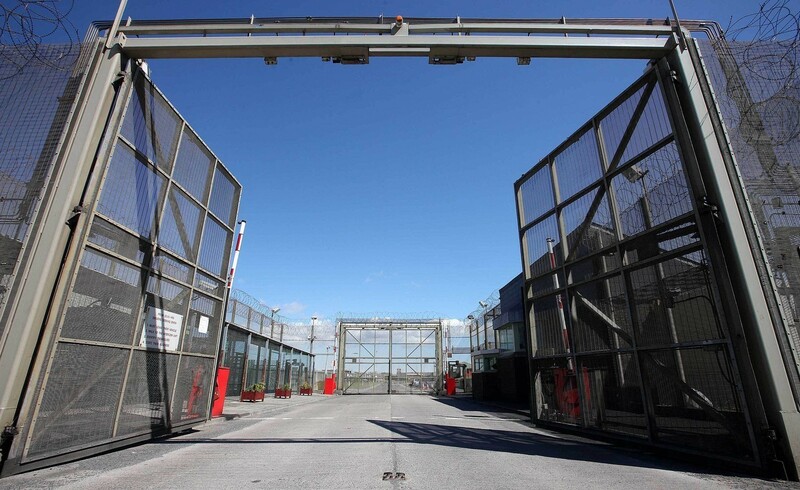 A spokesperson for the Northern Ireland Prison Service (NIPS) confirmed “unauthorised action” took place and added: “Discussions have been taking place in recent months between NIPS and DoJ senior managers and the trade unions on a 2016 pay award for prison grades. The POA said 160 of its members delayed their starting times again across the two prisons on November 10, and are planning to target specific days in future. Since last month, the union has encouraged its 1,207 members to stop working additional hours but it is unclear how many are doing this. POA chairman Finlay Spratt said staff are unhappy at the progress of talks with the Department of Justice (DoJ) over a one per cent pay rise, an increase in risk allowance and proposals to move to a 37-hour working week from the present 39. Mr Spratt added: “It’s unfortunate that we have to go to this extent and unfortunate that prisoners suffer. We are not happy but what can we do? “Management agreed in 2012 that we would get a 37 hour week in 2014 for our co-operation for the reforms of the prison service to reduce the running costs. “We have reduced the running costs by £52 million over four years. I don’t think there’s any other body in the public sector that’s produced these kinds of efficiency savings. In June, the Justice Committee heard that the service’s annual operating budget has reduced from £120 million in 2010 to £93 million this year. In March 2014, the then Justice Minister David Ford outlined plans to delay a review into moving to a 37-hour working week until 2016/2017. A NIPS spokesperson said new pay scales for prison officers were introduced in an attempt to improve staff retention. Independent inspectors claim funding cuts have resulted in staff shortages which can impact on prisoners, such as keeping them locked in their cells, which is known as a lockdown. The Detail asked the service what the current recommended number of prison officers should be but did not receive a response. In answer to an Assembly question by DUP MLA Sydney Anderson last month, Justice Minister Claire Sugden revealed there were 3,926 lockdowns at Maghaberry between October 2014 and September 2016, although there was a 30 per cent reduction this year from the previous 12 months. 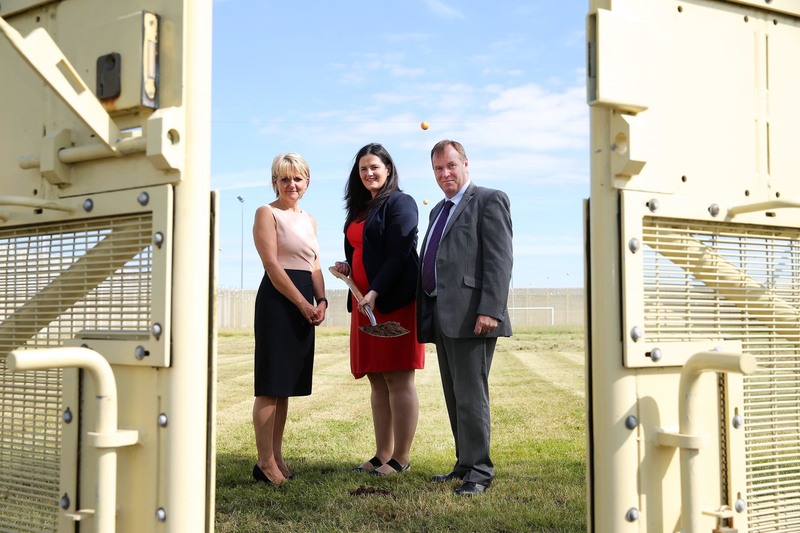 However, Hydebank Wood College, which houses female prisoners and young offenders in separate buildings, saw nearly five times more lockdowns during the same timeframe from 71 in 2014/2015 to 341 in 2015/2016. It added: “The board notes that the volume of lockdowns is starting to increase again compared to the last reporting period which impacts on a number of landings being locked down or restricted. “This can occur primarily due to staffing issues, for example staff sickness or latterly due to overall reduction in staff numbers due to budgetary constraints and further reductions are envisaged. Last year The Detail reported on how Maghaberry prison was described as “the most dangerous ever inspected” by Her Majesty's Chief Inspector of Prisons in England and Wales following an inspection in May. The joint Criminal Justice Inspectorate (CJI) report, published last November, found it “was not safe and there was a significant risk of a serious incident”. It noted staff absences caused “severe disruption to the daily regime” of prisoners which meant they “spent very long periods locked in their cells, restricting access to showers, telephones, association and other everyday domestic tasks”. The report added: “Prisoners told us and we observed that there were high levels of tension and frustration arising from frequent and unpredictable regime curtailments. A follow-up report by the CJI after an unannounced inspection in January found the situation had stabilised but that “a significant amount of work was still outstanding to make Maghaberry safer”. However, there have been a number of high profile deaths in custody in recent months, including one in Maghaberry last night [November 15]. A spokesperson for the Department of Justice (DoJ) said: "The PSNI, coroner and Prisoner Ombudsman will conduct a full investigation into the death." Members of Maghaberry’s Independent Monitoring Board (IMB) said they previously raised concerns about staffing levels with the DoJ. The monitoring board’s 2015/2016 annual report stated: “With the reduction in staffing levels and ongoing high levels of staff sick absence, lockdowns are a regular occurrence. An IMB spokesman said the loss of experience felt by the service when older members of staff left through voluntary early retirement schemes caused problems. He told The Detail: “There would be a view that the voluntary exit scheme may have let too many experienced officers leave the service en block. Chairman of the Prison Officers’ Association Finlay Spratt claimed only two prison officers are now allocated to a shift per 50 prisoners, while he said that the figure was previously four officers. He added: “We can see how many deaths in custody there are. Our members are constantly on the go, they sometimes don’t have time to take their tea. The level of people on sick leave would also indicate something’s not right. “It’s all about money and they have cut it so much we are not able to cope. We don’t have the staff there to do what is expected and if anything goes wrong it’s the staff that get punished. In response to general concerns over pay and staff shortages, a Northern Ireland Prison Service (NIPS) spokesperson added: “Taking account of staff seeking alternate employment, NIPS repositioned the custody prison officer pay scale. NIPS continue to monitor staffing levels and will recruit accordingly. “As well as the major recruitment campaign in 2012, NIPS has recently launched (first intake in May 2016) a recruitment drive when over 1,400 people applied to join the service. “Since 2012, 511 new recruits have joined NIPS. By the end of January 2017 a further 100 plus new recruits will have joined NIPS, with plans for additional intake throughout 2017. “All eligible prison grade staff received a pay award in October 2015, effective from April 2015. Click here to see The Detail's previous coverage on prisons. •In addition to the 520 prison officers who took voluntary early redundancy between March 2012 and May 2014, a further 124 employees (including 55 prison officers plus support staff) left through an exit scheme between September 2015 and May 2016.